Faraway's beautiful honey coloured Tahiti garden set is perfect for the smaller garden and has the practicality of extending from a 4 to 6 seater using a single butterfly extension. When compact the table is a 120cm oval shaped 4 seater which effortlessly extends to a larger 180cm oval which seats 6 people. 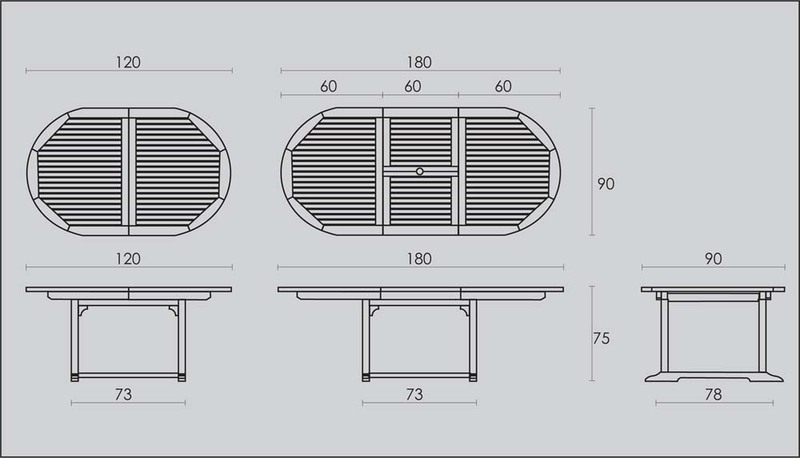 The butterfly extension simply folds underneath the table when not in use. This set includes 4 stacking teak armchairs from a choice of 4 high backed Grenada chairs or 4 minimilist style Panama chairs. 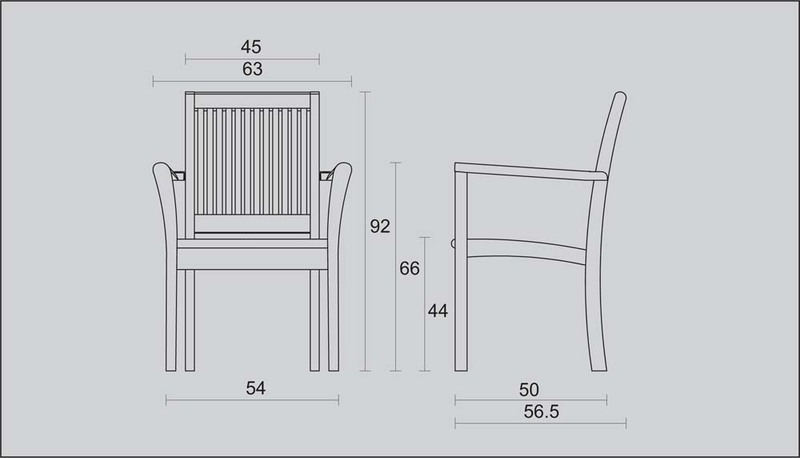 All our teak stacking armchairs chairs can be stacked 4 high for easy storage. An extra 2 chairs can be bought at a discounted price. The Tahiti set is fully machine made to ensure a longlife and durability and comes with stainless steel parasol cover plate and fittings. 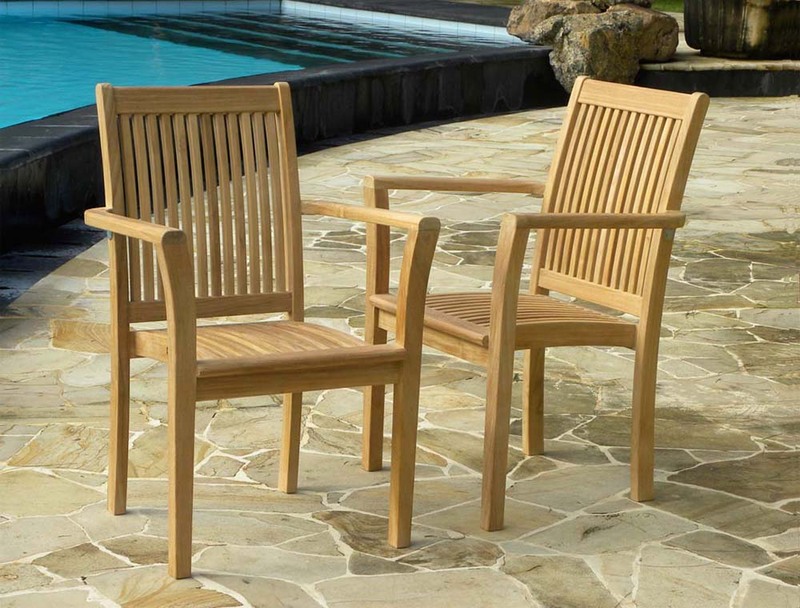 The teak used to manufacturer this set is from sustainable, legal and traceable sources in Java. Special offer. Two for £300 only when purchasing the Tahiti set.